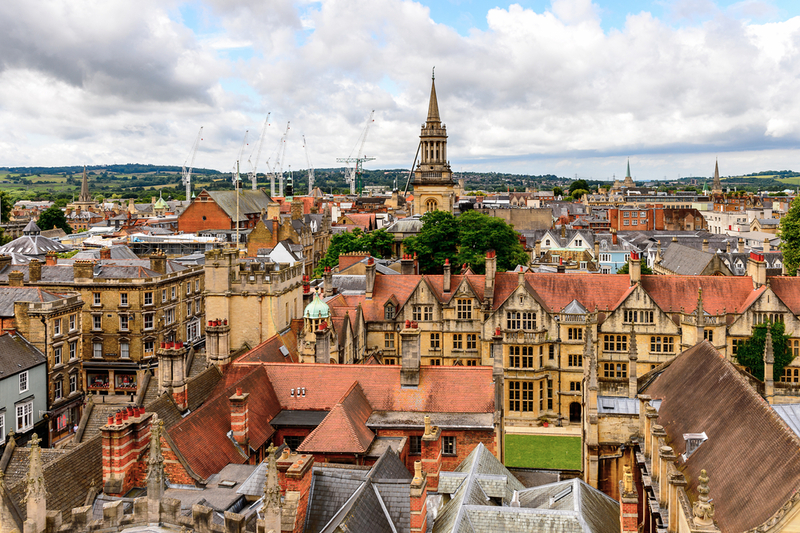 The city of Oxford is known around the world for its prestigious university, but there is certainly more on offer than an education.Located in the south of England, the city perfectly balances its rich past with its place in the modern world. If you look in one direction you see stunning architecture from every major historical period, then on your next glance you will see shops and bars that cater to the young students who study at the university. Often referred to as ‘the City of Dreaming’, Oxford is filled with cobbled streets, peaceful courtyards that are perfect for reading and relaxing, and landscapes that have inspired famous writers for centuries.The centre of Oxford has a fairytale charm about it, reminiscent of the school and towns featured in Harry Potter. It is perfect for exploring on foot, as the city is flat and compact allowing you to stroll leisurely around at your own pace while taking in the sights. Most of the city’s biggest attractions – such as the University of Oxford and its 38 colleges, the Bodleian Library, its museums and Oxford Castle – are located right in the centre. This means you will be spoilt for choice for things to see on your trip.There is also stunning landscapes and greenery to be found in the University Parks, riverbanks and Port Meadow. Whether you’re heading to Oxford for a family break or a romantic getaway, there is an abundance of things to see and do. You can go on long walks, hire bikes, go boating and visit the backdrops of popular television shows like Downton Abbey and Midsomer Murders. You can add a touch of drama to your trip by staying in the Malmaison Oxford, which is a converted prison in a medieval castle. Once you check into your ‘cell’ you’ll find all the creature comforts you need for an unforgettable stay, including delicious food and drink and cloud-soft beds.If you choose to venture out of the centre of Oxford, you will have an abundance of luscious green spaces to visit. From Christ Church Meadows you will have a perfect view of the university’s spires twisting into the sky.